Xiaomi Redmi 6 Pro was launched in China on Sunday evening. The Redmi 6 Pro is the first budget phone from Xiaomi with a 19:9 notch display. The phone bears an iPhone X-like notch display, but the rest of the design is similar to the Redmi Note 5 Pro. Apart from notch display, Xioami Redmi 6 Pro’s highlights are AI dual rear cameras, an octa-core Snapdragon 625 SoC, a 4000mAh battery, a dedicated microSD card slot, AI face unlock, and voice assistant features. 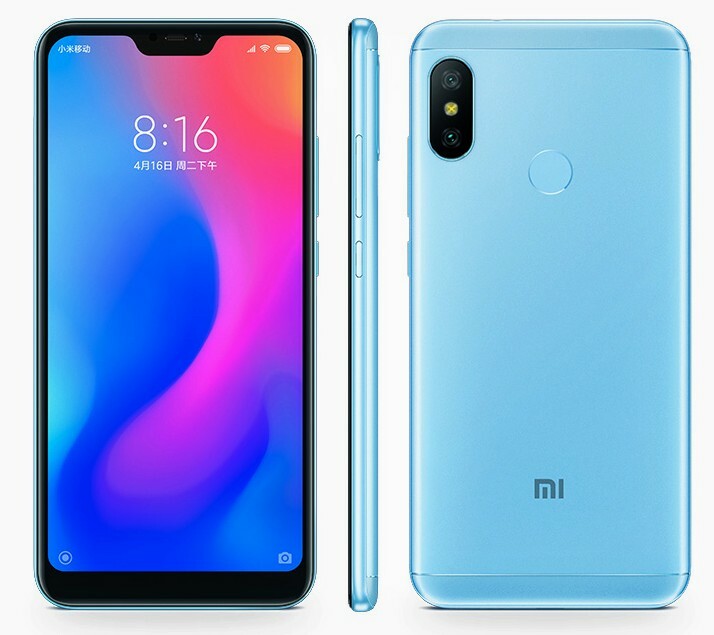 Redmi 6 Pro price starts at 999 yuan (Rs. 10,520 approx.). The Redmi 6 Pro sports a 5.84-inch FHD+ (2280×1080 pixels) 2.5D curved glass display with 500 nits brightness and 84% NTSC Color Gamut. It is a 19:9 aspect ratio display with a notch on top. The phone runs Android 8.1 Oreo with MIUI 10 on top. The phone is powered by a 2GHz Octa-Core Snapdragon 625 processor with Adreno 506 GPU. Memory wise, it packs either 3GB RAM with 32GB storage or 4GB RAM with 32GB/64GB storage. The storage is expandable up to 256GB via a dedicated slot. For optics, it sports a dual rear camera with a 12MP primary Sony IMX486 sensor with LED flash, 1.25um pixel size, PDAF, f/2.2 aperture, and a secondary 5MP camera with Samsung S5K5E8 sensor, 1.12um pixel size, and f/2.2 aperture. There is a 5MP front-facing camera. For connectivity the dual SIM phone supports 4G VoLTE, Wi-Fi 802.11 a/b/g/n, Bluetooth 4.2, GPS + GLONASS. It is powered by a 4000mAh battery. Dimensions of the phone are 149.33×71.68×8.75mm and its weight is 178g. The Xiaomi Redmi 6 Pro is priced at 999 yuan (Rs. 10,520 approx.) for the 3GB with 32GB storage version. While the 4GB RAM with 32GB storage version costs 1199 yuan (Rs. 12,510 approx.). Lastly, the 4GB/64GB version costs 1299 yuan (Rs. 13,555 approx.). It will go on sale from tomorrow, June 26 in China. Redmi 6 Pro will be available in Black, Blue, Gold, Pink, and Red color options. There’s no word on Redmi 6 Pro’s release date in India.